The policy making arm of the Federal Reserve is raising the federal funds rate the first time this year by a quarter of a percentage point to a range of 0.5-0.75 percent. This is the second hike the Fed has made in the past two years after keeping the federal funds rate at zero since December 2008. 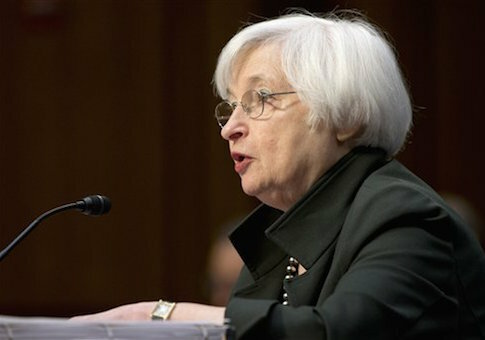 In last year's December meeting, the Fed raised rates to a quarter of a percentage point. The decision to hike rates was contingent on whether improvement had been made toward the central bank’s two objectives, maximum employment and price stability, or inflation approaching its two percent objective. "Information received since the Federal Open Market Committee met in November indicates that the labor market has continued to strengthen and that economic activity has been expanding at a moderate pace since mid-year," the committee said. "Market-based measures of inflation compensation have moved up considerably but still are low; most survey-based measures of longer-term inflation expectations are little changed, on balance, in recent months." "In determining the timing and size of future adjustments to the target range for the federal funds rate, the Committee will assess realized and expected economic conditions relative to its objectives of maximum employment and 2 percent inflation," the committee said. The decision to hike was unanimous as all 10 members of the Federal Open Market Committee voted for the increase. According to analysis from the Wall Street Journal, there will likely be three interest rate increases next year, which is an increase from the two that they originally projected would happen. This entry was posted in Issues and tagged Federal Reserve. Bookmark the permalink.